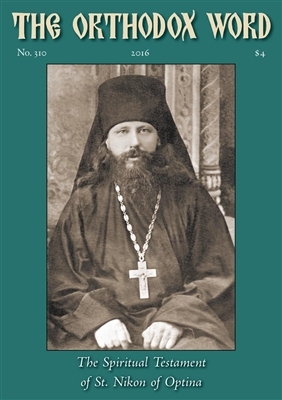 This issue of The Orthodox Word features writings by New Hiero-confessor Nikon (Belyaev) of Optina Monastery in Russia. 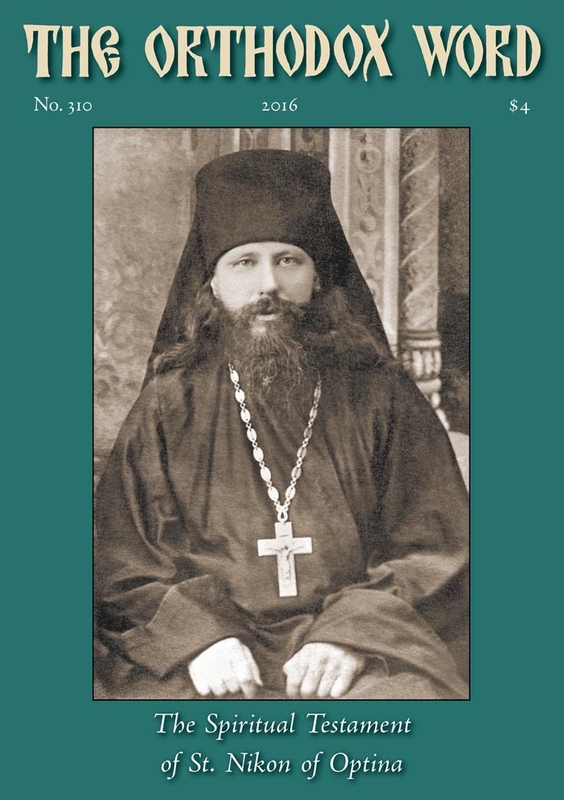 The closest spiritual son of Elder Barsanuphius of Optina, St. Nikon deeply assimilated his elder’s teachings, and was thus able to be a strong support for his own spiritual children during the turmoil that followed the 1917 Russian Revolution. He was arrested in 1927 and eventually exiled to Russia’s far north, where he died of tuberculosis on June 25/July 8, 1931. During his initial period of incarceration he made notes, intended for his spiritual children, in the margins of a copy of volume 5 of the Complete Works of St. Ignatius Brianchaninov. This volume was eventually passed to his spiritual daughter, and has been preserved to the present time. These notes, Elder Nikon’s “spiritual testament,” have been published by Optina Monastery, and appear in this issue of The Orthodox Word for the first time in English. Also included in this issue is a homily by St. John Chrysostom, On the Word “Cemetery,” and on the Cross of Our Lord, God, and Savior Jesus Christ. This is one of three surviving sermons given by St. John on Great and Holy Friday. Delivered in the church of the great cemetery of Antioch in 392, the homily speaks movingly about Christ’s harrowing of hades and of His victory over death, hell, and the devil through His death on the Cross. It appears in English here for the first time.